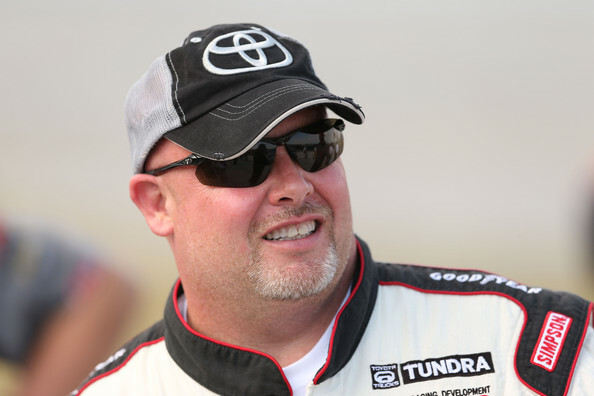 Todd Bodine has not exactly done the best job of keeping his helmet the past few weeks but perhaps he will opt to keep the one from tonights Camping World Truck Series race. Bodine will be driving his No. 11 Red Horse Racing truck while wearing a newly designed helmet by his wife Janet. The helmet is different from Bodine’s typical white helmet. Janet’s design is featured below and was worn by Todd Bodine prior to qualifying for the Jeff Foxworth Grit Chips 200. 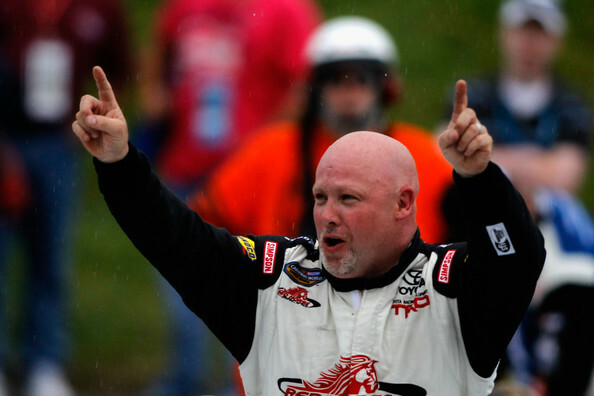 Todd Bodine sets NASCAR milestone Saturday at Chicagoland Speedway.